Despite the name, the Olight SR90 Intimidator won’t exactly make you shake in your boots. It’s just a flashlight, after all. Since it’s designed for police, military and tactical use, however, there has to be a reason why these uniformed armed men are shining one on your face — now that could be intimidating. 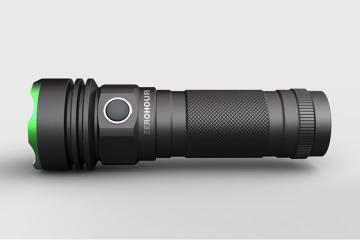 Delivering illumination that’s much brighter than a car headlight, this handheld flashlight is no joke. According to the product page, the LED technology here puts out brightness right along the same lines as a high-intensity discharge (HID) lamp, which means plenty of luminance for something that’s relatively small. 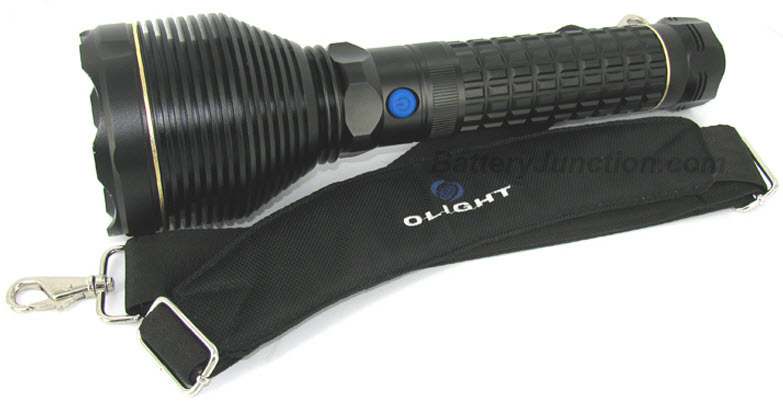 Unlike an HID, however, the Olight SR90 Intimidator requires no warm-up time. Flip the switch and it beams a blinding wad of light instantly. 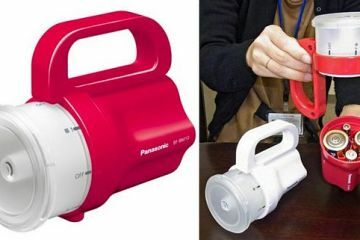 It uses a 30W Luminus SST-90 LED (60,000 hours lifespan), which can shine up to 2,200 lumens for over 80 minutes on the included rechargable battery module. You can quickly switch between two brightness levels and a strobe mode, with an impressive throw distance of 1,000 meters. 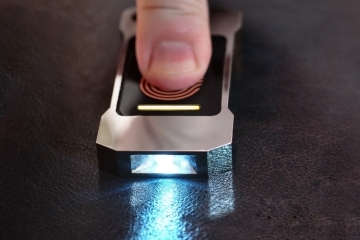 Think your Maglite is tough? Psssh. 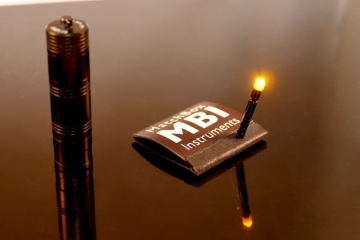 This 13.23-inch long torch comes with an indestructible lens, that boasts anti-shatter, anti-scratch and anti-reflective properties, as well as tridimensional heat dissipation, a digital power management system and weatherproof construction. 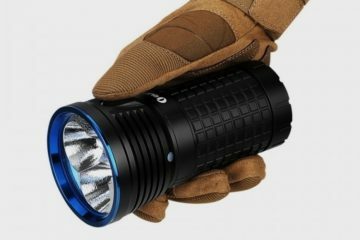 Clad in a black, anodized finish, it’s plenty tough-looking, too — so tough, in fact, it’s the only flashlight I know to come with its own carrying strap! 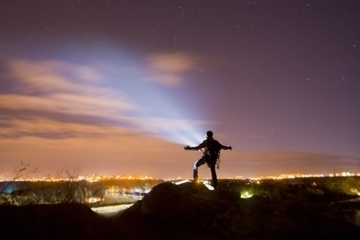 When you want to carry a big light, we doubt you can go wrong with the Olight SR90 Intimidator. It’s available now, priced at a decidedly intimidating $449.95.